My arrival in the campsite after a whole day of assault trekking in Mananawin Trail left me battered and tired that I was actually one of the last to have reached the camp site. I have watched the sun set along the steep trail of tall cogon grass while behind me is this intimidating summit of Mt Kanlaon were its famed Lugud and Margaja crater lie in wait. The morning greeted us with a sweeping view of the Margaja Valley from where we camped. Marked by a crater lake at its bottom, and protected by this rim of high walls, it looks as if we are in the threshold of paradise. I was in awe of Margaja Valley at that point and it was with a bonus that we camped in the beautiful landscape of Mt Kanlaon craters and summits, something only a mountain hiker can ever see up close. The Crater Rim of Margaja Valley just blocked the rain clouds for us, giving us more time to eat our breakfast before we break camp. The fast moving rain clouds was a relaxing phenomenon to watch. Like a black hole, mysterious and inviting, Margaja valley has this Crater Lake in its bottom as one of its permanent feature. 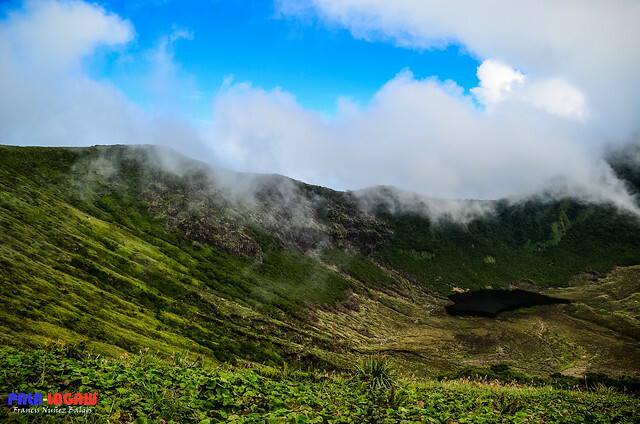 Margaja Valley is a crater or caldera, a depression near the summit of Mt Kanlaon that is a lush verdant green grassland with a lake at its bossom. 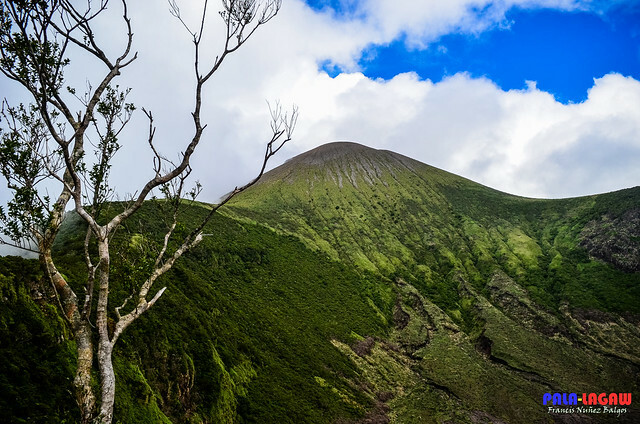 The established trails of Mt Kanlanon Natural Park would normally scale the rim of the caldera itself giving the hikers a different view as they trek along the rim. Looking at Margaja Valley from the mountain summit is like looking down at an upturned hat only that it’s referring to a depression of grassland with thick bush foliage surrounding it. 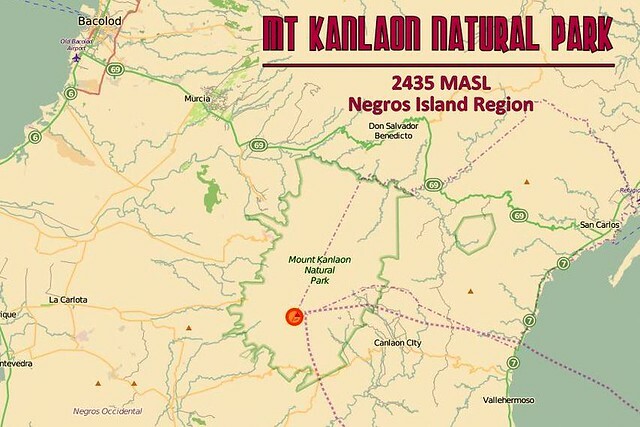 As a Natural Park, Mt Kanlaon Natural Park was established on August 8, 1934. 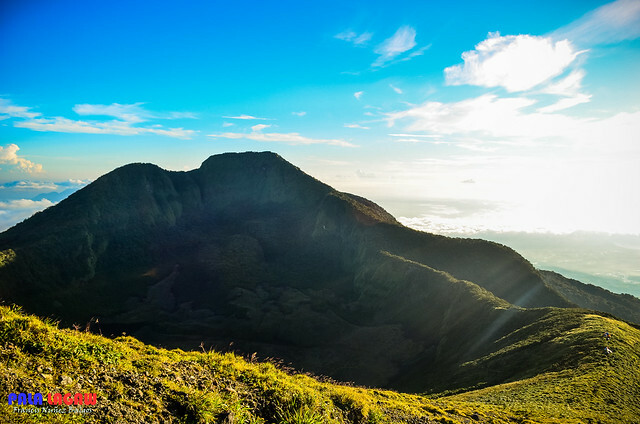 It is a beautiful protected landscape of 24,388 hectares of forest and grassland, dotted with craters and pyroclastic cones and home to diverse wildlife. We didnt get the chance to trek down the Margaja Valley and inspect this crater up close, the slopes are steep and the distance will require an effort going down and back up. The hike may take half a day at least since we will take pictures along the way. I do intend to climb Mt Kanlaon again so maybe next time I will be up close inside the Margaja Valley's Crater. The view from the Ridge is very prominent and since the trails that we need to pass through before descending would encircle it, we had a different view of the valley in every clearing. This is part of the Margaja Valley's Caldera and also serves as campsite for hikers. 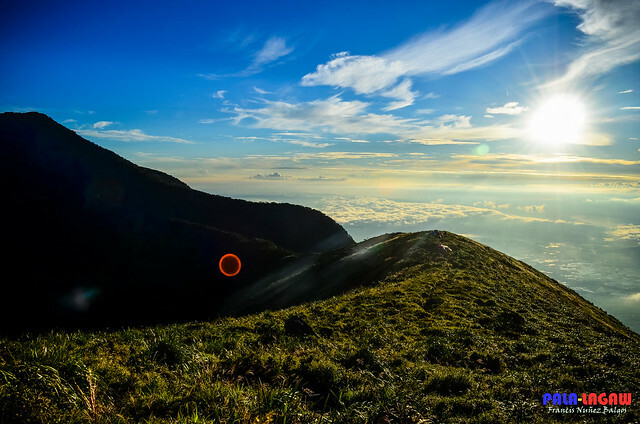 The mountains Topographic prominence gave us a sweeping view of almost half of the Negros Island itself, including the distant shadow of the Island of Cebu. 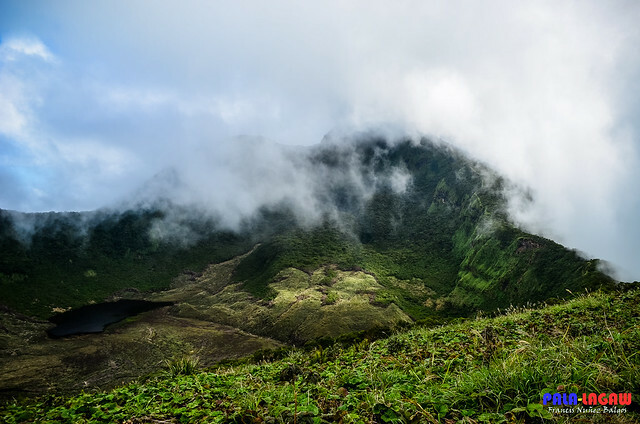 Mt Kanlaon is the most active Strato Volcano in Central Visayas, having no other neighboring mountains in its base; it stands like an island with the same Topographic prominence as its height at 2,435 MASL. This volcano is one of the 6 permanently monitored volcanoes by the Philippine Institute of Volcanology and Seismology (PHIVOLCS). A Volcano of violent and unpredictable temper; with a history of killing 3 and injuring 17 hikers when a sudden phreatic explosion happened in 1996, having said that, Bureaucratic process requirements had been set before a hike in Mt Kanlaon Natural Park is permitted by the Department of Environment and Natural Resources (DENR). 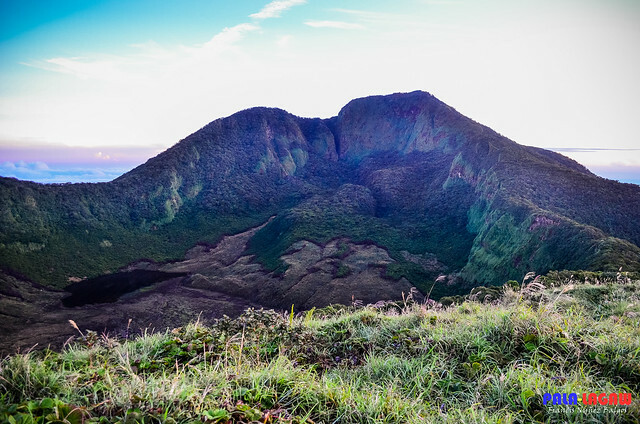 This volcano straddles 2 provinces composing the Negros Island Region, the Negros Occidental and Negros Oriental. Either of these provinces can be used to pinpoint the location of the mountain while using the towns and cities that are situated at the mountains base as references. In this blog post I used Negros Oriental in reference to the jurisdiction of Canlaon City which was our jump off site for Mananawin Trail and also because this city was named after the very mountain itself. Along the slopes near the summit is this sweeping view of Margaja Valley under the shadows of its Caldera Rim. On the summit of Mt Kanlaon is on top of that cone where the Lugud Crater is located, a volcanic chasm about 150-200 M deep. Morning above the Clouds, in here we stand at the crater rim of Margaja Valley, the summit camp site. L-R: Myself, the two ladies from Cebu Jonnah and Ro Za, Mark as Group Team Lead from Cebu, Leo is from Makati and Alison on the far Right is from Cebu. 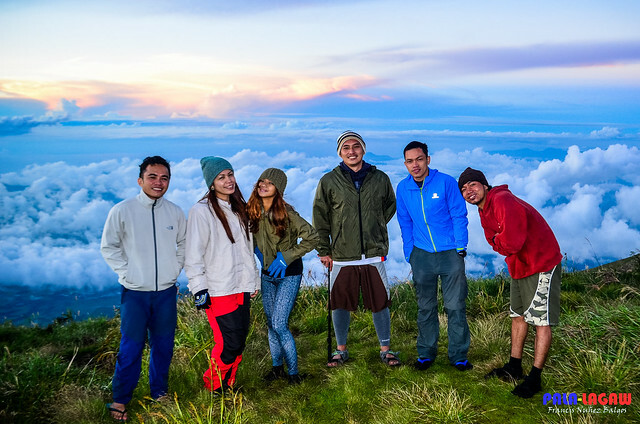 Since Mt Kanlaon is designated as a Natural Park, the Department of Environment and Natural Resources (DENR) monitors and manages the hikes of climbers. The guides to be hired are Mountain Rangers. Bureaucracy is to be expected. A notarized Waiver-Not-To-Sue and The Mountaineer Information Form has to be submitted before the climb. Arrangements and contact with the DENR is needed prior to even setting foot in any of the Mt Kanlaon trails. Hikers are closely monitored; any illegal hikers will be reported especially if they are doing something that is against the principles of Leave-No-Trace (LNT). Margaja Valley is currently recuperating from a massive Forest Fire that happened a few months ago, it was caused by 2 illegal hikers who used firewood instead or portable stoves in cooking. Blogger Note: I will make a separate Mountain Trek Guide for Mt Kanlaon, Mananawin-Mapot Traverse. Below are the downloadable forms that you can accomplish before the climb along with the contact number of our guide. A very nice adventure and really awesome to trek up to the top. I'm from Negros but never visited Mt. Kanlaon. Really, you are palalagaw kind of person. Oh my god the view from the top is amazing! I am not really a fan of mountain climbing, though I've climbed a few in my life. Let's just say I don't exactly enjoy the journey to the top, but by the looks of it, I think the peak of Margaya Valley is worth the effort. The views look totally stunning and wonderful! Yours photos are so clear. The Crater Rim of Margaja Valley is surreal and this is one of the fine examples of natural resources in our country. The second picture from top resemble like of Machu Pichu minus the Inca ruins. The view from the top is absolutely stunning and rewarding. Wow! it must have been a great experience for you. Ganda ng mga pics that really showcases the beauty of Margara Valley. How I wish to do and join with the daring group of mountaineers who scale mountains of different heights and locations. I think the only problem in mountaineering is the bad weather for it is too dangerous when everyone is climbing up. You are so lucky, we attempted this last time and unfortunately we were met with bad weather so we had to turn back after the first night. We will conquer Kanlaon another day. You've just added Mt. Kanlaon to my bucket list. The view of Kanlaon is so majestic and I just love the sea of clouds. You very photograph very well sir! We just started our trekking adventure and will definitely share this place to my crew. Breathtaking view.